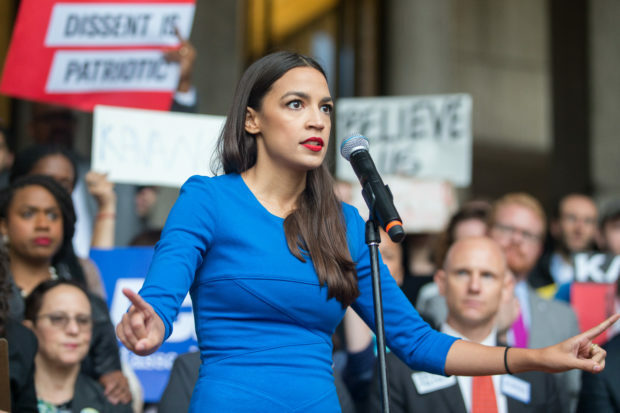 Congresswoman-elect Alexandria Ocasio-Cortez criticized the Democratic caucus opposing Rep. Nancy Pelosi’s bid for House Speaker by pointing out the demographic makeup of its members. The incoming New York lawmaker’s comments came during a Monday evening conversation with MSNBC’s Chris Hayes. “Well, for me when I was reading this letter that was kind of released today, my main concern was that there is no vision, there is no common value, there is no goal that is really articulated in this letter aside from we need to change,” Ocasio-Cortez told Hayes when asked about Monday’s letter — signed by 16 Democrats — who oppose Pelosi’s leadership.